Edinburgh’s urban setting is the portrait of Scottish history. Looking at the cityscape from Arthur’s Seat, it is easy to spot many landmarks and ancient buildings which tell interesting town stories to keen observers. What is very evident is the striking contrast between the medieval Old Town and the Georgian New Town, as the testimony of the two faces of the Scottish character. The four time phases modeled were chosen to render this vision. The locations can be visited on a loop in both directions, while Map view provides possibility to choose directly from these stations (1-8). The Urban Timemap is primarily designed for PC’s and Mac’s using any of the available browsers with HTML5 technology. Urban Timemaps are online cross-platform applications which run on smartphones and tablets as well, especially if they run Android. 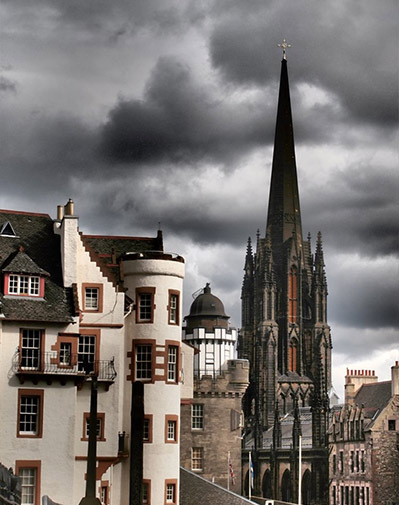 The overall urban plan for Edinburgh was shaped in 1124 under the reign of King David I, who developed the medieval “Burgh of Eiden” with the construction of the castle, the cathedral of Saint Giles and Holyrood Abbey connected by the “Via Regia” or Royal Mile. Edinburgh soon turned into a military fortress, complete with city walls. Outside of this was the burgh of Canongate, which remained autonomous until 1856. 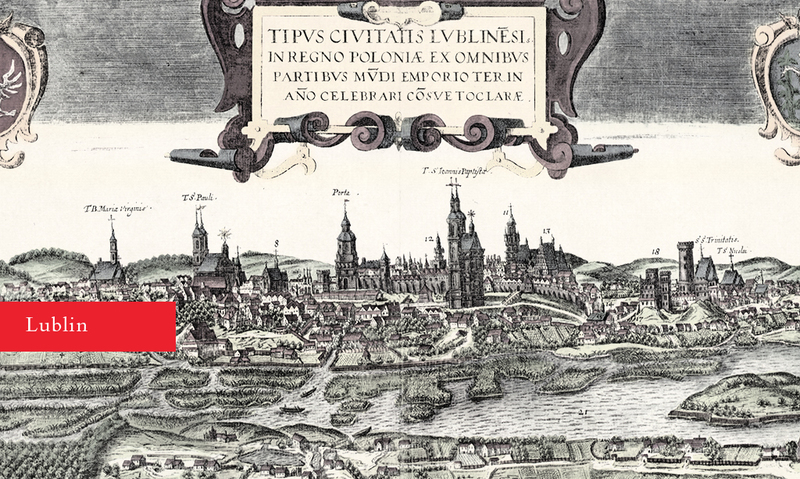 The mature townscape of the earliest modelled phase is well represented in Gordon’s bird’s eye view map of 1647, where roads, tenements and landmarks are deeply depicted and recognisable. 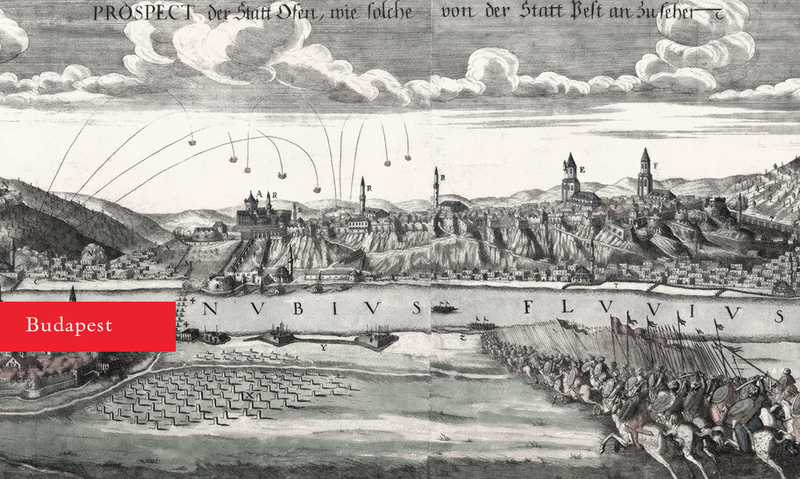 However, it is only from Edgar’s map of 1742 that observers can fully understand the dramatic overcrowded and decadent situation that characterised Edinburgh at the time, developing right up to the Flodden Walls. 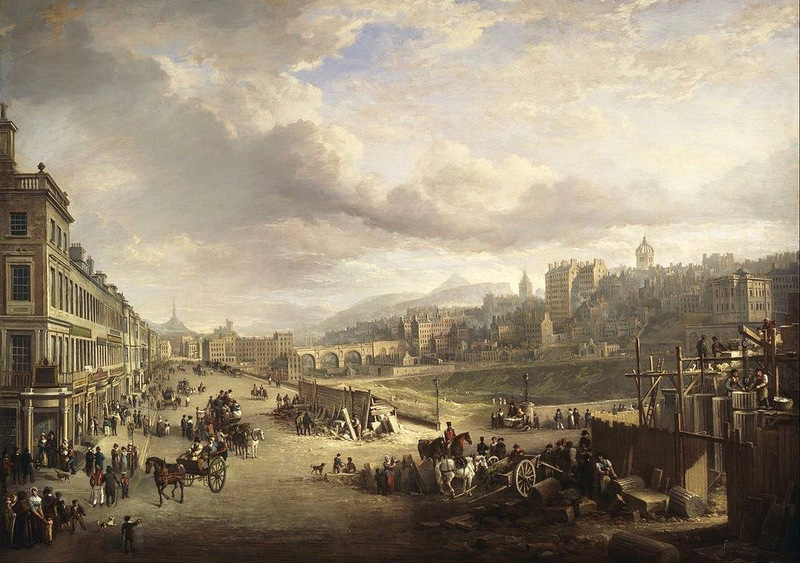 After the Act of Union in 1707, Edinburgh became consumption-oriented. This produced a urban revolution: not only was the “New Town” built and the area outside the Flodden Walls was developed, but most of the earliest tenements of the medieval town, now known as the “Old Town”, were destroyed to allow for the innovative construction of the bridges and the new street patterns. This deeply modified the townscape, as is well represented in Key’s map of 1836. From the end of the 18th century to the 19th century, Edinburgh turned in fact from a belligerent overcrowded town to an intellectual city. The town walls were torn down allowing the city to spread horizontally, over the Nor’ Loch. As such, the New Town emerged. This new urban setting, inspired by Greek architecture, made Edinburgh the “Athens of the North”. Also the bridges and the railway were built in the same period, opening Edinburgh’s horizons to the world. Numerous changes were undertaken in the Old Town during the Victorian era. Many monuments of that period were built the typical Victorian neo-Gothic style. Many tenements were completely re-built during that age reusing the stones from the previous construction, making the overall appearance of the Old Town, to the untrained eye, medieval. 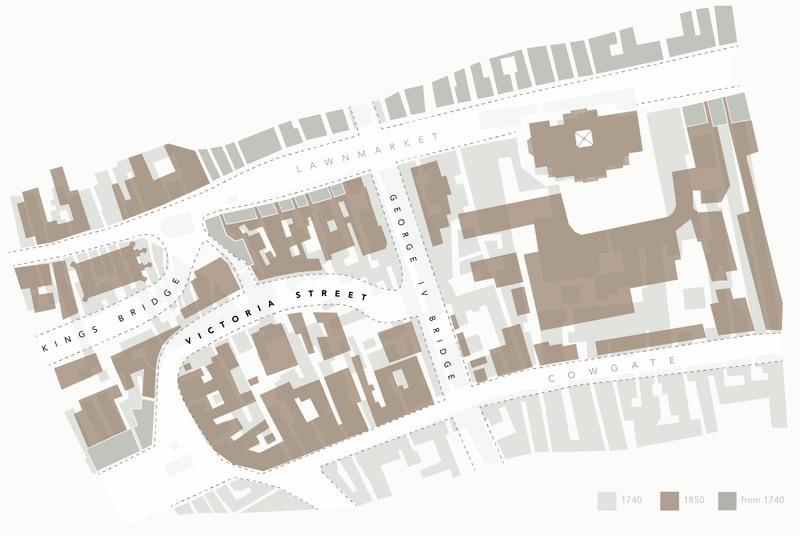 The area that reports the biggest changes during the 19th century was the Canongate, where 38 industrial breweries were built, replaced at the end of the 20th century by offices and the new parliament. The West Bow was a steep and narrow zig zag lane, which provided the main western entrance to the town, linking the Grassmarket with the Lawnmarket. This street was a mix of timber fronted houses with an upside-down pyramid form, typical 17th century tenements with crow-stepped gables, towers and merchants’ shops. This was the location of Major Weir’s house, a man notorious as ‘the Wizard of the West Bow’, who was executed for witchcraft in 1670. The West Bow was part of Thomas Hamilton’s City Improvement Act (1827). 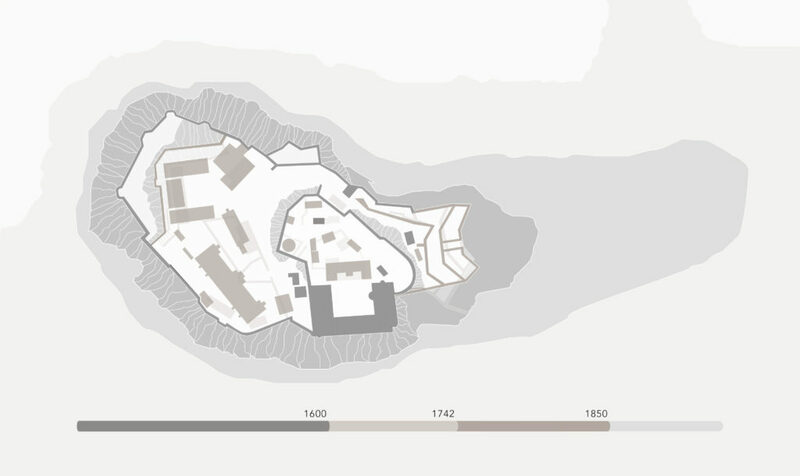 Its aim was to provide better approaches to the Old Town from the west and south. The Old West Bow, renamed Victoria Street in 1837 in honor of the Queen, was radically transformed into a curved road, which linked the Grassmarket with the newly-created George IV Bridge (1829-1832). Many medieval structures were lost, apart from a small section of housing dating from the late 17th century at the foot of the Bow. The Old Assembly Room (1602) was demolished in 1836. An upper level terrace was constructed on the northern side. The Weigh House at the top of the Lawnmarket and at the head of the West Bow was an essential building for traders and merchants. The original building granted by David II in 1352 was destroyed by English in 1381. Over time it was destroyed and re-built on at least four occasions, including by Oliver Cromwell during the siege of the Castle. On the occasion of the visit of King George IV in 1822, the Weigh House was definitively demolished to allow for a better approach to the Castle up the steep and narrow Castle Hill. The former Tolbooth Church, situated on Castle Hill on the approach to Edinburgh Castle, is now the administrative base for the Edinburgh International Festival and has been renamed The Hub. The church dates from 1844 when it served as both a parish church and the annual meeting place for the General Assembly of the Church of Scotland. Parliament Square is situated immediately to the north of the former Parliament House, now home to the Court of Justiciary and the Court of Session. It was built along with Parliament House around 1640 in the kirkyard of Saint Giles. This burial ground, which largely fell out of use in the mid-sixteenth century, is the resting place of the prominent religious reformer John Knox. The appearance of the buildings surrounding the square was substantially altered in the 19th century by the addition of frontages designed by Robert Reid. The cathedral of Saint Giles is one of the oldest buildings of Edinburgh. Its massive presence on the Royal Mile dates back to the reign of King David I, in 1124. Over the centuries, it has witnessed many religious reforms and architectural changes, most of them carried out during the 19th century, when the Luckenbooths and the Old Tolbooth were demolished, by William Burn and William Chamber. The Thistle Chapel was finished in 1911. Parliament House stands immediately to the south of Saint Giles. It was constructed between 1632-1640, at Charles I’s instruction, to house the Scottish Parliament. In 1806 and 1808 two Acts of Parliament authorised the conversion of the facade of the Old Parliament House. The work, designed by Robert Reid, was stopped due to fire. It recommenced on the east side after 1824. The Edinburgh Tolbooth was built in the late 14th century on the south side of the High Street. It provided accommodation for the Burgh Council, the Law Courts and Parliament. From the late 15th century it included a prison. 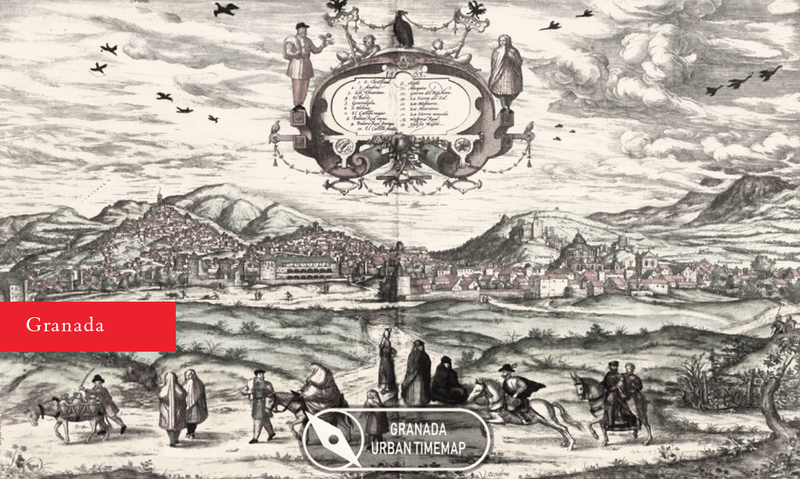 From 1785 public executions were carried out. 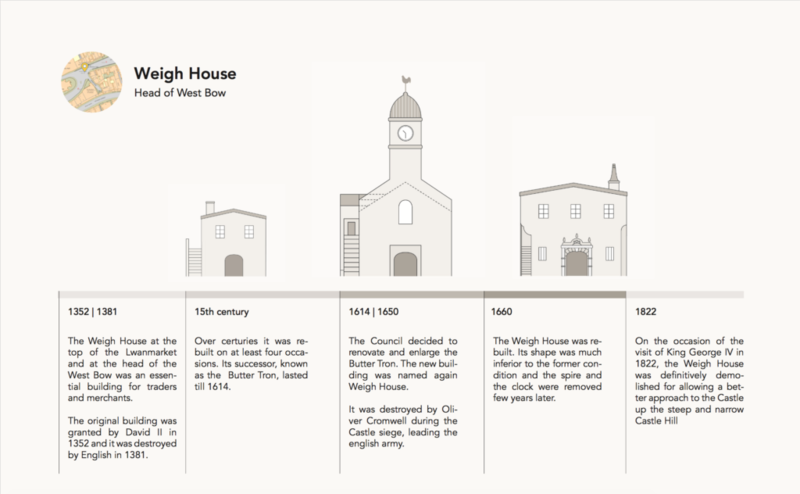 Although a new prison building was provided in the 16th century, the Tolbooth survived as a common prison until 1817. After it had been rebuilt and renovated several times, it was definitively demolished in 1817. Built between 1636 and 1647, the Tron Kirk, which takes its name from the public weighing beam that stood outside of the building, was the church of the north-west parishes of Edinburgh. In the late 18th century, the width of the building was reduced, when the tenements and closes that surrounded the church were demolished to make way for North and South Bridge. The North Bridge was the first connection between the Old Town and New Town, representing a ner era of improvement for the city of Edinburgh. Its construction began in 1763, the same year that the North Loch was drained, giving the city the chance to spread horizontally beyond the town walls. Due to a problem with the north side of the hill and the architect’s underestimation of the depth of foundations required, a part of the structure of the bridge collapsed on 3 August 1769, killing five people. The current North Bridge was constructed in 1896. The bridge stands over Waverley Station. A modern highway of its day, built to link the Old Town’s High Street with the University buildings on the south side of the city, South Bridge replaced Marlin’s Wynd, Peebles Wynd and Niddry’s Wynd. When the South Bridge was finally completed in 1788 it was deemed to be an honour that the bridge’s eldest resident, a well known and respected judge’s wife, should be the first to cross it. Unfortunately, several days before the grand opening, the lady in question passed away. So the first “body” that crossed South Bridge did so in a coffin. Anyway, many businessmen started to build tenements and houses along both sides of the bridge, covering 18 of the original 19 arches, leaving only the Cowgate arch visible. This created many vaults that originally were used as storage for the upper level workshops. The bridge, which had never been waterproofed due to budget constraints, began to leak, prompting many businesses to move out. The damp and wet vaults started to become home to the very poorest and disreputable sections of society, like immigrant Irishmen, Highlanders, mercenary landlords and body snatchers. The Cowgate area became known as “Little Ireland” in the 1840s and 1850s. In the 1870s, the vaults started to become completely unusable. Today, some of these vaults are open to the public, and are considered to be one of the most haunted places in Britain. Founded as an Augustinian monastery in 1128 by King David I, the Palace of Holyroodhouse or Holyrood Palace, as it is today known, became the official royal residence in Edinburgh at the beginning of the 16th century, when the King James IV built a palace close to the Abbey. One of the reasons why the Burgh of the Canongate, which operated separately from Edinburgh until its formal incorporation in 1856, never had proper defensive city walls was because it was believed that the holiness of the monastery of Holyroodhouse would be enough to defend the Canongate from invaders. “There were once as many chimney stalks in central Edinburgh as there were kirk spires, and the air was heavy with the former’s pungent vapour of malt and hops”. Brewing was one of the oldest and most important industries in Edinburgh, which could have given to the city its nickname “Auld Reekie” (“Old Smoky”). The most important brewery was the Holyrood Brewery of William Younger and Co. which was the largest of the Canongate breweries, and the last to close. Its business was established in 1749 and it closed in the 1990s. Its site is now occupied by the Scottish Parliament. Since September 2004, the official home of the Scottish Parliament has been the new Scottish Parliament Building, in the Holyrood area of Edinburgh, designed by the Spanish architect Enric Miralles. Some of the principal features of the complex include leaf-shaped buildings, a grass-roofed branch merging into adjacent parkland and gabion walls formed from the stones of previous buildings. Queen Elizabeth II inaugurated the new building on 9 October 2004. Calton Hill is a popular gathering spot for locals and tourists, where you could enjoy views of Edinburgh’s cityscape. The evident Greek style of the buildings, principally inspired by the Acropolis, represents the sense of achievement felt in the city after the failure of the Jacobite Rebellion. For this reason, Edinburgh gave itself the title of Athens of the North, opposite of London, which was defined as the Rome of the North. This idea came in 1822 inspired by an exhibition of artist H. W. Williams’ watercolours of Athens displayed alongside views of Edinburgh, inviting visitors to see the likeness in the setting of the two cities. Nelson’s Monument is a commemorative tower in honour of Vice Admiral Horatio Nelson. It was designed by R. Burn to look like an upturned telescope, an object closely associated with Horatio Nelson. In 1853 a time ball was added, as a time signal to shipping in Leith harbour. In fact, at 171 metres (561 ft) above sea level, it has replaced an earlier mast used to send signals to shipping in the Forth. The time ball was operated for over 150 years, until it was damaged by a storm in 2007. It was restored in 2009 and its sound is still rumbling today. The prison was constructed to replace the Old Tolbooth on the High Street as Edinburgh’s main correction facility. Its distinctive castellated fashion was designed by the architect Archibald Elliot, famous for his classical, Greek revival creations, to match the style of the other structures in the area. The conditions in Calton Jail were considered vastly inadequate for the standards of the 20th century. The jail closed in 1925 and was demolised a decade later. The site is now occupied by St Andrew’s House. The only remnant of Calton Jail is its turreted Governor’s House, next to the Old Calton Burial Ground. This neoclassical building housed for a long time one of the oldest schools in Scotland, founded in 1128. By 1820 the Royal High School was outgrowing its space and so in 1829 it relocated to the south side of Calton Hill. In 1832 the former school building reopened as a Surgical Hospital, in which the University of Edinburgh held its anatomy classes. In 1999, the Old Royal High School was mooted as a potential home for the new Scottish Parliament, but it was decided to site it in a purpose-built structure in the Holyrood area of the Canongate. The designer of the New Town was 26-year-old James Craig. His proposal of a simple and rational design consisted of three main parallel streets crossed by two minor streets crowned by two main squares. The name of these roads was inspired by the union of Scotland with England and the civic Hanoverian British patriotism. Situated on the Mound, the Royal Scottish Academy was built by W. H. Playfair between 1822-1826 and extended between 1831-1836 for the Board of Manufactures and Fisheries. Along with the adjacent National Gallery of Scotland, built in 1859, their neo-classical style helped transform Edinburgh into a modern-day Athens of the North. The two buildings were remodelled in 1912 by W. T. Oldrieve. A statue of Queen Victoria was placed on top of the Royal Scottish Academy, sculpted by Sir John Steell. The Assembly Hall and Free Church College, located at the top of the Mound, is a reminder of the Disruption of 1843, a religious conflict that established the Free Church of Scotland. The building, designed by William Henry Playfair, was erected between the 1846 and 1850, standing in place of the sixteenth-century palace of Mary Guise. The college is the only building designed by Playfair in Gothic style. Despite its scale being considered too small, its twin towers can be viewed not only from Princes Street but from far across the city centre. In 1796, the directors of the Bank of Scotland decided to commission a purpose-built head office, to be placed at the top of the Moud, a man-made, 16 metre steep hill, created from the earth excavated for the New Town. The first design of the building was a detached Georgian-style villa, topped by a shallow saucer dome, but it was not generally admired. Radical transformations took place between 1864 and 1878 by David Bryce, giving to the whole building a Roman Baroque appearance: two new wings were added, crowned by domed lanterns, while the existing central dome was replaced by one much higher, in the Florentine style, topped by a statue of Victory. Charlotte Square, placed in Craig’s plan to mirror St Andrew’s Square at the west end of George Street, was designed by the famous Scottish architect Robert Adam. The houses were treated as unified blocks, to give the impression of a palace-like frontages. This particular style is considered one of the most important representations of Georgian architecture.